Hanoi (VNA) - Malaysia and Singapore have reached an agreement on settling an airspace dispute after several months of negotiations. According to a statement by Malaysian Transport Minister Anthony Loke Siew Fook and his Singaporean counterpart Khaw Boon Wan reached on April 6, Singapore will withdraw the Instrument Landing System (ILS) procedures for its Seletar airport and Malaysia will indefinitely suspend its permanent Restricted Area (RA) in Pasir Gudang town in Johor state, which neighbors Singapore. Both transport ministers welcome these positive steps and look forward to further strengthening bilateral cooperation, the statement said. The agreement will also see Malaysian budget airline Firefly resume its flights after suspending its operations last December. The airspace dispute between the two sides began late last year when Singapore asked Firefly to move its flights from Changi airport to the new Seletar airport. Firefly at first agreed but later said it would not move because the Malaysian civil aviation regulator disapproved it. 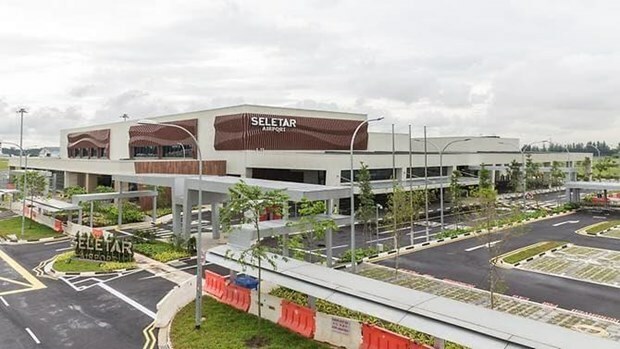 Malaysia objected to the move because Singapore installed the ILS at Seletar airport which neighbors Malaysia's Pasir Gudang town, saying that the system would hinder development of the town.